As humans beings, we’re inherently biased. Natural biases serve a critical social function—they allow us to use previous experiences to navigate personal interactions and interpret non-verbal cues. To assess every person and situation from scratch would be exhausting. Our natural biases can range from the inconsequential—cognitive shortcuts that help us deal with the world—to the roots of much larger societal issues, like gender bias and pay inequality. Research has shown when teams and leaders operate without recognizing existing biases, it affects company culture. As designers, we are not immune. Our biases can impact the products we design. Despite the universal nature of bias, it’s still difficult to personally acknowledge and overcome. When I took an implicit bias test on gender and career, it revealed a couple of surprises. I have a slight association between women and family and men and career. This insight was eye-opening for me. As a hard-working mother of two, it contradicts my conscious beliefs. Becoming conscious of biases is just the first step. The next is to ensure we don’t allow them to negatively impact the products we design or our experiences with teams. What follows are a few tactics we’ve used at Moment to help designers feel empowered to combat bias. It’s a common question early in a new client relationship or project kickoff: “Who will be on the team?” In the getting-to-know-you phase, we want to make sure the client becomes familiar with the team members based on their credentials and qualifications, rather than assumptions based on age, gender, race, or the fact that we’re designers. This step is worth thoughtful consideration because it’s pivotal to a team’s success. To get it right, our teams use a technique where the project lead introduces each team member along with some of their professional accomplishments. At first glance, this seems counter to empowerment. Shouldn’t everyone speak for themselves? Yes, but this tactic allows the project lead—who has already started to build credibility with the client through shaping the project—to endorse individuals on the team based on their skills. The result is the start of a client-team relationship where the client knows each team member’s superpowers. It leaves team members feeling empowered because the project lead is able to speak highly of their professional history. To create awareness of biases from the get-go, we do a small activity during kickoff workshops. The point is to get everyone in the room to first acknowledge their own biases about the project, target user, or technology, then set them aside and start with a clean slate. Depending on who you ask, “millennial” is a loaded label with both broad and narrow definitions. When designing a service targeted at millennials, it’s important to unpack any baggage so team members know where each other stand. 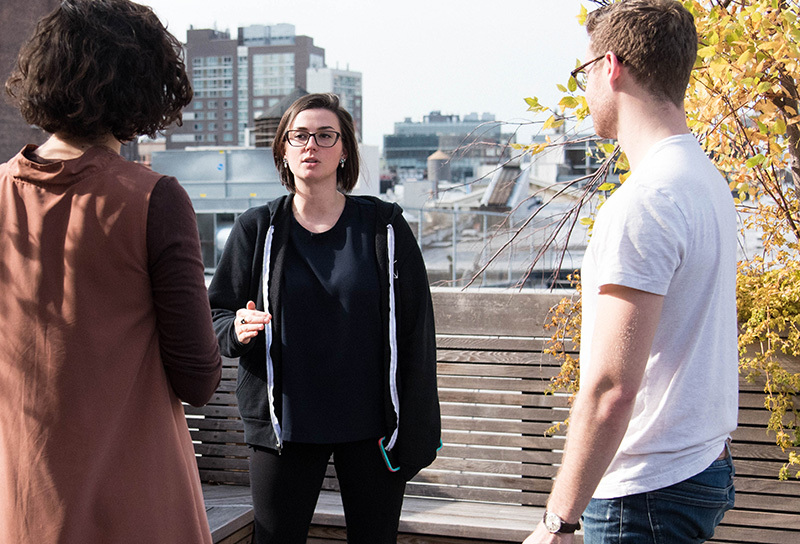 On a recent project for a product targeted at millennials, we heard everything from, “I’m a millennial and I don’t think this product is for me, but I know I’m not every millennial” to “Most of my opinions around the needs of millennials come from Buzzfeed articles.” Getting these assumptions out in the open built trust amongst the team. The exercise helped everyone realize where their biases stood, allowing us to start fresh without anything weighing us down. Design is a subjective sport. In design reviews, a client or team member might offer a critique that’s counterproductive to the needs of a project. For example, someone expresses an opinion that they believe an experience won’t be easy enough for an elderly population. Biases like these can derail projects—especially when one person’s opinion wins out over the research. Probing questions tend to reveal flawed critiques based on assumptions and biases. Asking the “Five Whys” (literally asking “why” five times) when someone expresses a biased opinion or idea helps redirect the conversation. This classic interview technique helps designers refrain from an emotional reaction to a biased comment. Instead, it helps develop an understanding of where the other person is coming from. Through dialogue, it also highlights to the other person that their opinion wasn’t based on something relevant to the discussion. Compared to the previous techniques, creating a culture where teams feel comfortable enough to question each other takes time. 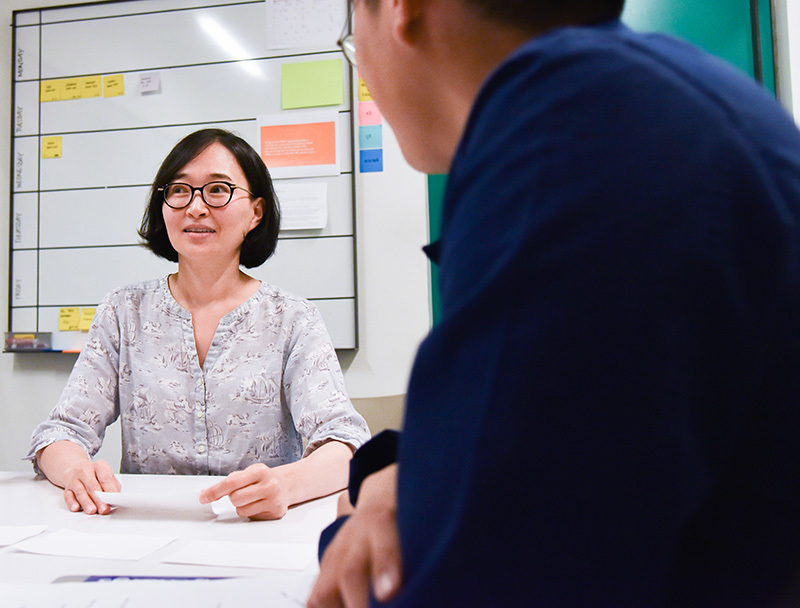 At Moment, we rely on project retrospectives to give and receive feedback from our teams. Each person shares three points of self-assessment before asking for feedback. In response, each team member gives two pieces of positive feedback and constructive criticism. Though challenging, this practice is invaluable. It helps each of us grow as individual practitioners and leaders. I often receive feedback about my performance and leadership that helps me on my next project, and I’m extremely grateful for any willingness to be candid. 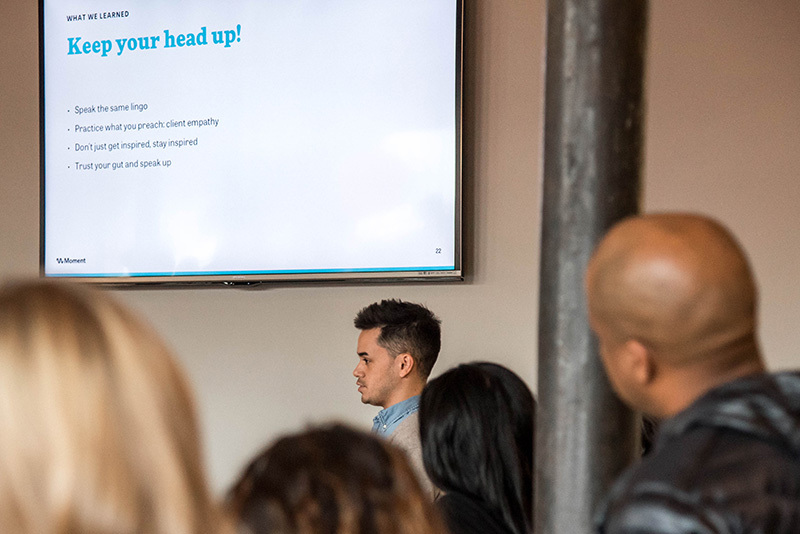 To encourage conversation outside of client projects, we’ve held a series of internal company workshops called “Understanding Bias” as well as an evolving conversation around “Women at Work.” Both forums provide a chance for everyone to express their perspectives and provide support. Success relies on building relationships with collaborators. With design’s growing influence on business, designers find themselves engaging in new, complex situations. As a result, designers have an opportunity to make a big impact on the organizations and the people they serve. These opportunities expose designers to different perspectives, work cultures, and, of course, biases. At the end of the day, we’re the ones who need to acknowledge and work through our biases and help each other create the best user-centered products possible. So the next time you feel bias creep in—whether it’s your own or a teammate’s—take a step back and find ways to change the conversation. Since joining Moment in 2003, Shannon has consistently guided design teams toward purposeful ideation with key clients like American Express, Philips, and ESPN. In addition to building client relationships, Shannon leads Moment’s recruiting and people-first processes, which include highly-regarded career management and mentorship programs, as well as volunteer and parental leave policies.